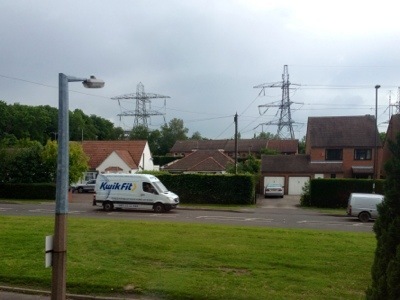 … But none of them are UKMail (actually, if I saw a UKMail van passing my house I think that would be the final straw. I am close to hallucinating. The distant sound of any diesel engine, or any vehicle at all entering the close has me twitching at the curtain. Who needs Neighbourhood Watch. I nearly had a laundry moment while gazing out the upstairs window when a Tesco van hove into view. The white, blue & red livery quickly formed into the wrong combination and my heart sank. The excitement and anticipation of my new toy arriving is now completely lost in the feeling I have completely lost a day and a half (so far). Had I known this would have been the situation I would have driven to High Cross or Meadowhell. This is unbelievably frustrating. If there’s still no sign by 13:00 I have to go out as I have a life. Hopefully I’ll be able to pick it up from their depot in Derby tomorrow – though being a Saturday that’s not guaranteed. Otherwise it’ll be returned to sender and the last 48 hours will really count for nothing. Well, it all worked out in the end. 13:45 rolled around, the news was over, and I really, really had to go. All the way out of the village I was scanning oncoming vehicles in case one was a UKMail van. Not sure how it would have worked out if I’d spotted one, but the situation never arose. Turned out it was 14:50 when the inevitable card was pushed through my letter box as I discovered later when I returned home later. I hotfooted it to UKMail’s depot at Kingsway. To be fair to them, something was happening on the A38 Northbound through Derby resulting in tailbacks to Toyota (I’d picked a circuitous route via back lanes to avoid it). So it was no surprise when the helpful and understanding receptionist at the depot saids the van was still out – suggesting I come back later. This indeed what I did, noting they were open until 20:30, so I had a fair bit of time to play with. On my return, having formed an orderly queue with three kindred souls, eventually (EVENTUALLY!) me and my new toy were united. The rest, as they say, is history….